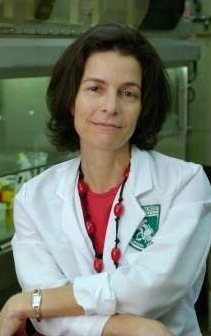 Bringing new hope to patients with advanced melanoma, The Hadassah Medical Center’s melanoma team, including Dr. Michal Lotem, head of the Center for Melanoma and Cancer Immunotherapy, participated in a large international clinical trial which revealed great promise for specific drug treatment regimens. Where previously, patients with advanced melanoma had a poor prognosis, these treatments, called immune checkpoint inhibitors, have added years to the survival rates. The therapies, which were tested on 834 patients in 16 countries, prod the immune system to kill cancer cells. In one trial, researchers found that an immune checkpoint inhibitor called Keytruda (pembrolizumab) outperformed the current frontline treatment for advanced melanoma called Yervoy (ipilimumab). The other trial showed that patients responded better to a combination of two different types of immune checkpoint inhibitors than to Yervoy used on its own.